William Simons engages in patent preparation, prosecution, counseling, and opinion work in a variety of chemical and chemical engineering technologies. Bill has more than four decades of experience in patent law and other intellectual property (IP) law areas, beginning as a Patent Examiner at the U.S. Patent and Trademark Office in the food arts and later as in-house patent counsel at Olin Corporation, 3D Systems Corporation, and NexPlanar Corporation, a high-tech start-up. While a partner at general practice firm Wiggin and Dana, Bill founded and chaired the Patent Practice Group. During this time, he prepared and prosecuted thousands of patent applications. Examples of areas in which Bill has drafted and prosecuted patents and prepared opinions include chlor/alkali processing; water treatment chemicals; photoresists and other photo chemistry applications; chemical mechanical polishing (CMP) pads and other semiconductor chemicals and processes; printed wire board chemicals and many other electronic chemistry applications; 3D printing and other rapid phototyping/manufacturing processes; agricultural chemicals; polyurethane and other polymer compositions; rocket fuels; and anti-dandruff agents. Bill has also recently lectured on IP law at Manchester Community College, where he was able to implement his past experience as a Patent Examiner and create an interactive lecture that has made him a favorite instructor. Bill, while a Patent Examiner, examined one of the first patents for Pringles (R) crisps. He gave his students packages of Pringles (R) to examine while he explains the concepts of patents, trademarks, copyrights and trade secrets through this product and its packaging while his students enjoyed the result of a successfully patented product. Manufacturing in 3D: Will 3D Printing Revolutionize Modern Industry? 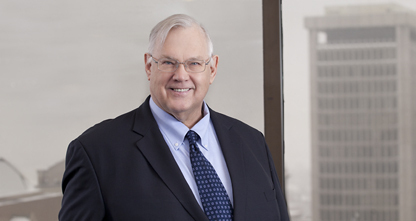 Counsel Bill Simons is quoted in the March 2015 issue of Risk Management magazine. In the article, "Manufacturing in 3D: Will 3D Printing Revolutionize Modern Industry?" Simons discusses 3D printing's impact on manufacturing and IP. He co-chairs the firm's Additive Manufacturing Practice Group. Bill Simons' article explores how 3-D technology could revolutionize design and production, and touches on a host of intellectual property issues, including utility and design patents, trademarks and copyrights, trade secrets, and IP agreements.